Slice the tomatoes into desired size. Cut avocado’s in half and remove pit. Slice avocado to desired size. Julienne the basil and sprinkle on top. 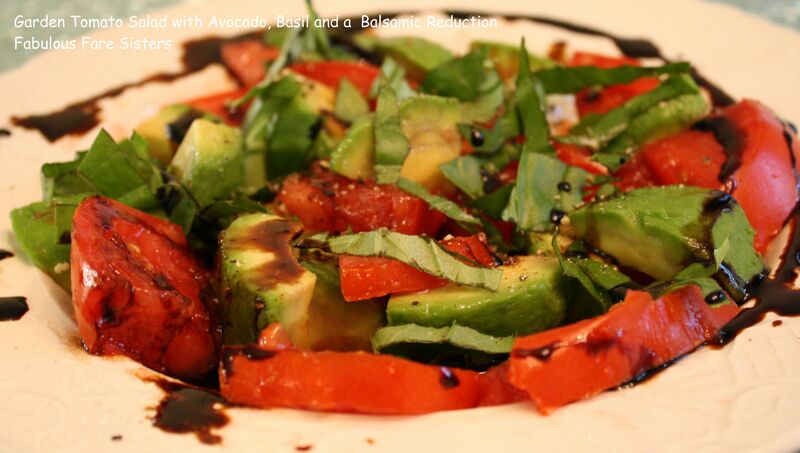 Take a bottle of good balsamic vinegar and in a small sauce pan reduce by half. Drizzle on top of the salad and top with kosher salt and coarse ground pepper. EXCELLENT! The tomatoes are so good this year, of course I say that every year! So clean and delicious. Perfect for a hot summer day. Yet again you’ve made me drool. Hi Lola… I could seriously eat this salad every day and the best part is the balsamic reduction keeps for a very long time… unless I use it all.